15th September 1916, aged 28. 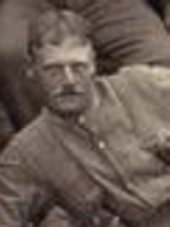 Born 02 March 1888 to Walter and Sarah Saye, of Great Wigborough, Tolleshunt D'Arcy, Essex. (Brother of Tommy Saye who is buried at Lijssenthoek Military Cemetery in Belgium. Follow link for an image of Tommy Saye. Killed in action on 15 September 1916 during the Battle of Flers-Courcelette, when tanks were used for the first time in history. 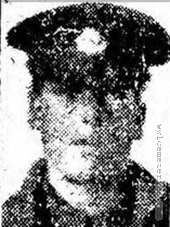 Lost his life with fellow Guardsmen, at Les Boeufs. Commemorated at Tolleshunt D'Arcy Parish Church. Remembered by Niece Pamela Brodie and Great Niece Heather Johnson. 30th July 1916, aged 35. Husband of A. B. Massey (formerly Simkins), of 254, Chinn Brook Rd., Billesly, Yardley Wood, Birmingham. 12th October 1916, aged 26. Pier and Face 1, D 8 B and 8C. 8th July 1916, aged 23. Pier and Face 2 C.
Son of Mr. R. W. and Mrs. S. S. Smith, of 136, Fountain Rd., Hull. Mrs Smith of 118 Gordon Street, Stoneyholme, Burnley, has received the distressing news that her husband Pte. 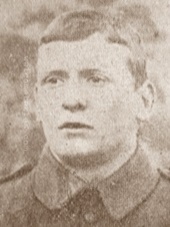 James Smith of the 7th Bn. 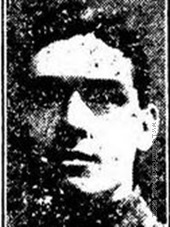 East Lancashire Regiment was killed in action in France on July 5th. It has been her tragic fate to be married and widowed in just over ten weeks. Pte. 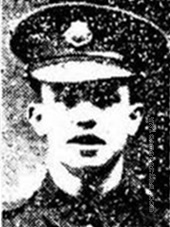 Smith, who was employed as a driver in Burnley for Mr Tonway was only 22 years of age. He was the son of Mr and Mrs William Smith of Hargreave St. Nelson. 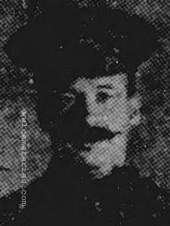 He was married on the 22nd April 1916 to the daughter of Mr and Mrs James Broadhurst, of 118 Gordon Street, Burnley, with whom his wife has since lived in view of her husband having to join the colours. He responded to the call March last and he was very soon at the front. 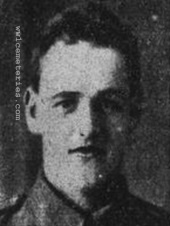 He had been in France for nearly three weeks when he was killed in action on the 5th July 1916. 1st July 1916, aged 39. Son of Albert and Margaret Smith; husband of Edith Smith, of 50, Rumley Rd., Burnley. 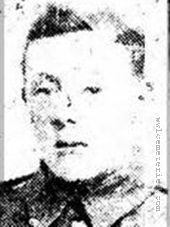 Official news has been received by Mrs Smith of 50 Rumley Road, Healey Wood, that her husband, Pte. Josiah Smith of the 6th Bn. East Lancashire Regiment was killed in action in France on the 1st July 1916. Pte. Smith was a married man with a wife and four children, the eldest being fourteen and the youngest seven. When war broke out he was working as a weaver at Woodward's Mill. He was known both in Healey Wood and Fulledge districts and mush respected. He played football with Woodward's team in the annual competitions, for which he held a medal. His father who is now dead, was formerly coachman for the late Dr. Smirthwaite and afterwards for Dr. Black. Pte. 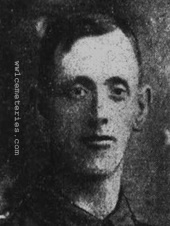 Smith joined the army soon after war broke out, and went with the 6th East Lancashires to the Dardanelles. Here he was in some terrible fighting and was wounded with shrapnel in the leg. He was in hospital for a few months in the Mediterranean and in Cairo, and he reached England in May, having been granted ten days leave. When this expired he returned to Plymouth, and had only been back in the fighting line about a month when he was killed. Pte. Smith has two brothers in the Army, Pte. Albert Smith of the R. A. M. C., now in Egypt and Bombardier Holgate Smith R. F. A., now in France. 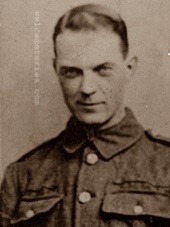 There are also two brothers-in-law with the forces, Driver J. W. Hargreaves R. F. A., now in France and Pte. J. Holt, S. B. R., Royal Naval Hospital, Chatham - and two nephews, Lance Corporal W. Stackhouse and Pte. 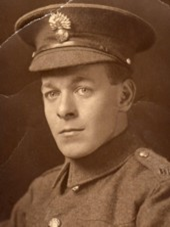 A. Stackhouse, both of the East Lancashire Regiment now in Egypt. Lived at 17 Holmsley Street, Burnley, Lancashire. 1st/1st East Riding Field Coy. 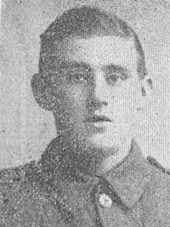 18th July 1916, aged 21. Pier and Face 8 A and 8 D.
Son of Annie Smithson, of 3951, Heather St., Vancouver, British Columbia, Canada, and the late John T. Smithson. 13th November 1916, aged 31. Pier and Face 8 A. Son of William and Ellen Mary Spelman, of 6, Thirsk Rd., Lavender Hill, London. Below is a quote from his diary of 1916. 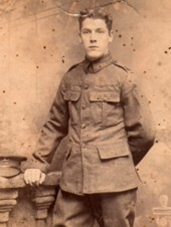 27th September 1916, aged 18. Son of John Edwin and Mary Sunderland, of 27, Russell St., Burnley.